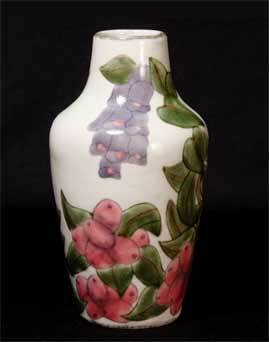 Cobridge Cowberry vase - 6½" (165 mm) high. Cowberry design. Early production piece with boot back stamp. This design was in production for a very short period.